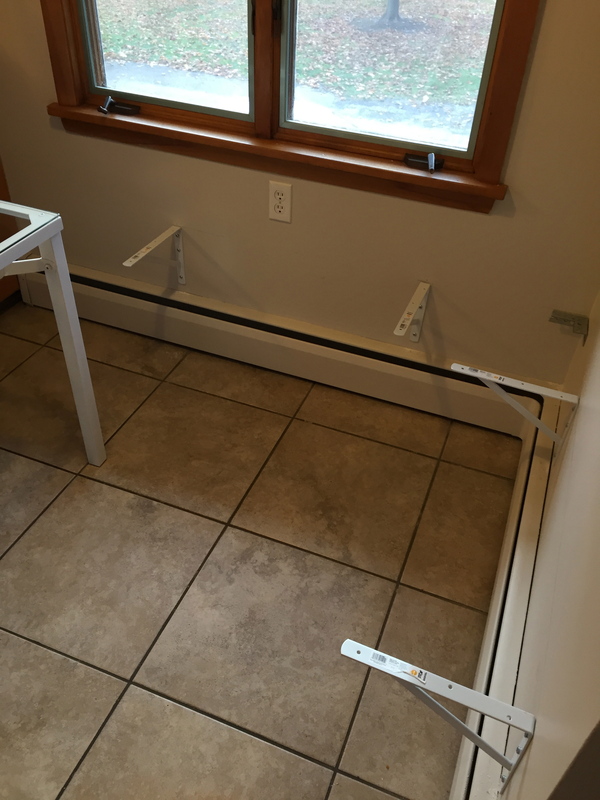 We’ve been wanting to give our kitchen a face lift ever since we moved in three years ago, but due to time limits and budget constraints, we knew we’d have to do it in phases. 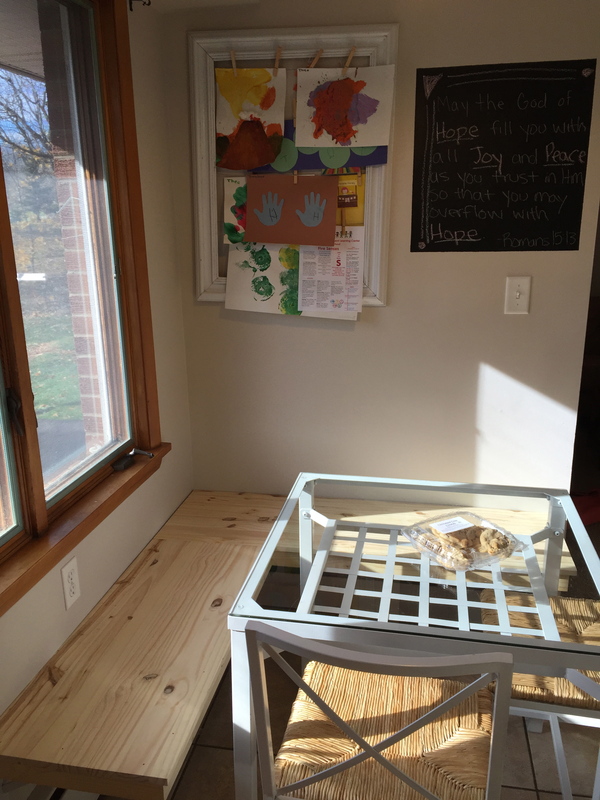 Phase one was to paint the walls and add a family message and art center. We completed that about a month ago. 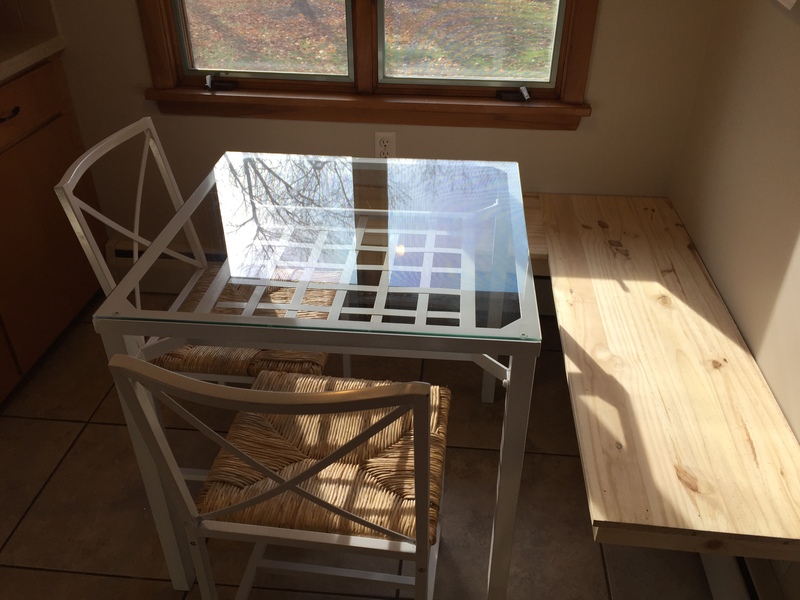 Phase two was to create a breakfast nook. We have a small space to the right of my kitchen counters and workspace that we’ve had a hard time utilizing. 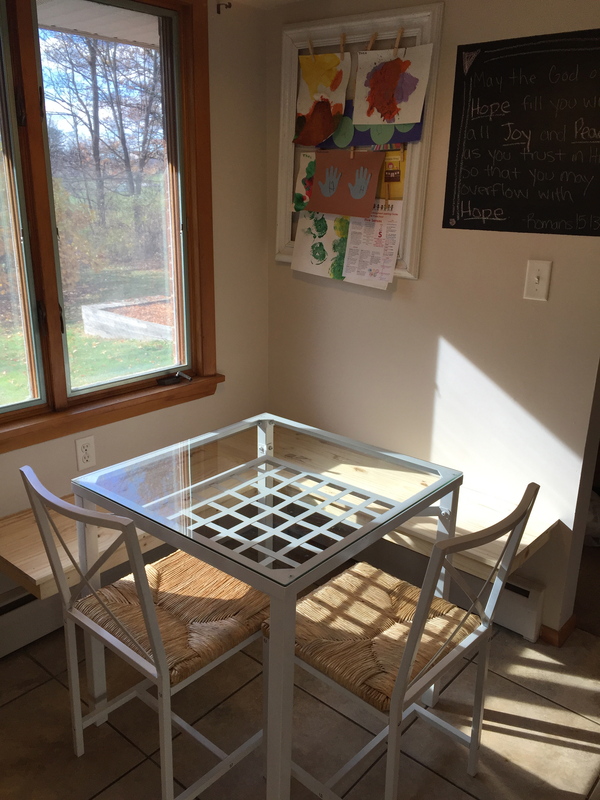 We had a small table with two chairs placed in front of the window to fill the space, but it wasn’t quite working for our family of four, going on five. I like to serve the boys their breakfast and lunch in the kitchen because the tile is easier to clean than our carpeted dining room, but our table only has two chairs which doesn’t leave a seat for mom! Enjoying our first cups of coffee (and hot cocoa) in the nook. I think we just found our new, favorite hang out spot! 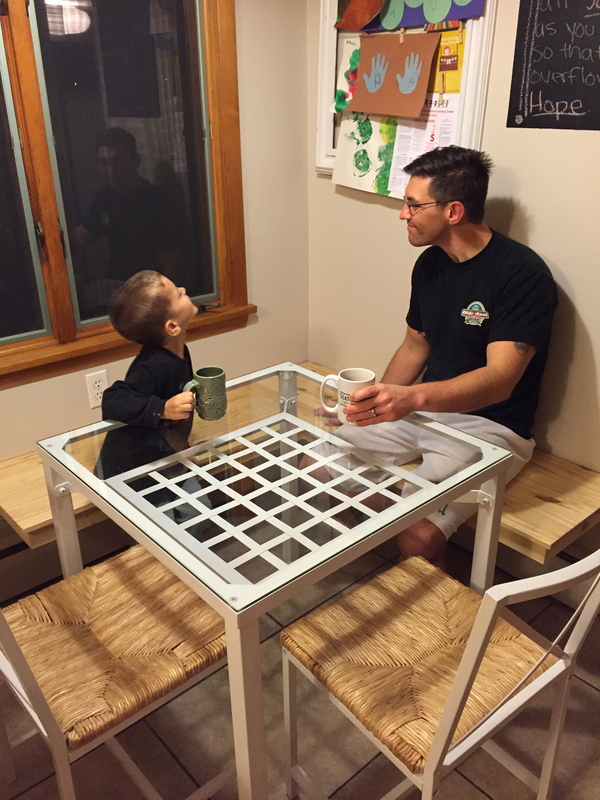 In case you are wondering, Mike made the bench out of 1×16 inch, cabinet grade pine. 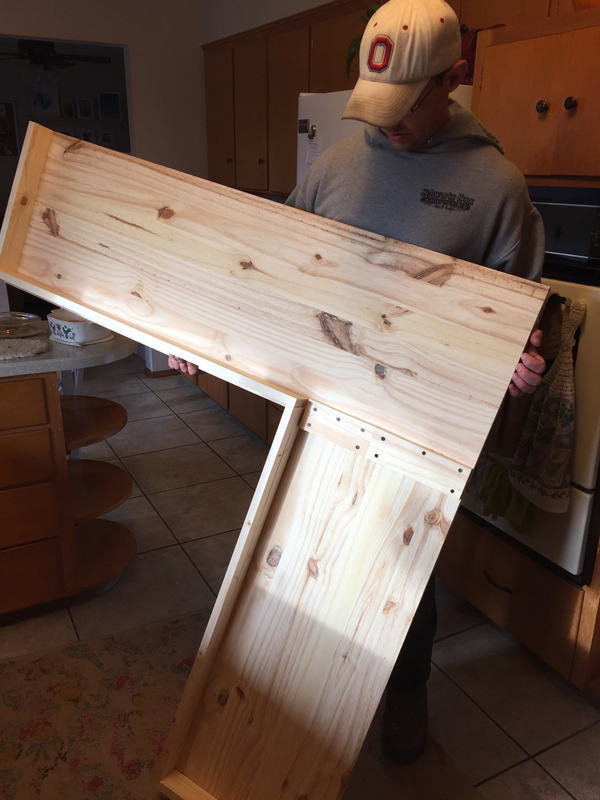 He used heavy duty (metal) shelf brackets to attach it to the wall, and simply applied three coats of polyurethane to the wood for protection (we liked the natural wood color). He trimmed the whole bench with 1×3 inch pine, and added shoe molding around the back to complete the look (that’s not pictured. He finished that just yesterday, after I had this post written 😉 ). The whole project cost about $80, start to finish. Thanks Whitney! It certainly has helped maximize the tiny space. It was just too small for anything else, and this suits are needs perfectly!